The EGO Power+ system delivers petrol-matching power but without any of the downsides. It’s simpler, cleaner, quieter and with less vibration is more comfortable to use. 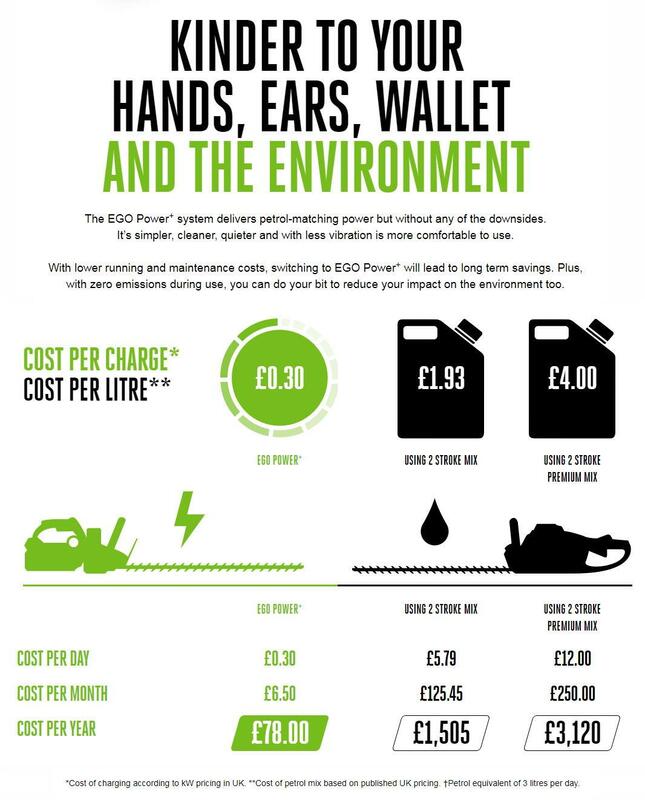 With lower running and maintenance costs, switching to EGO Power+ will lead to long term savings. Plus, with zero emissions during use, you can do your bit to reduce your impact on the environment too.